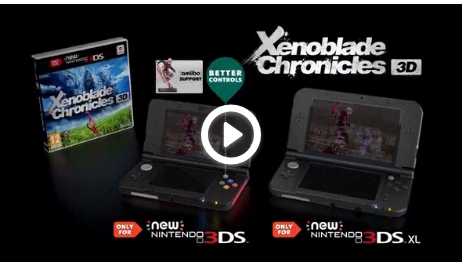 These luxurious cover plates themed for Xenoblade Chronicles 3D will be making their way onto European countries. Announced officially by the Nintendo of Europe Twitter division. you’ll get the Monado blade with its normal look stretching from the top plate to the bottom plate. Additionally, the top and bottom parts of the cover plates are tinted red, giving it a nice vibrant look. These were previously announced only for Japan. Giving the chance for Europeans to get their Reyn time ready for the re-release on the New 3DS a little something to look for. Unfortunately, that also means North America won’t get them with the New 3DS XL being the only option in the ‘New 3DS’ family option. Will you be picking up these cover plates for your New 3DS? Let us know in the comment section below!